​​I have always been a ferocious reader, as was my dad. After dinner every Thursday night, he would shave, put on his Sunday suit, and drive to the town library. When I was three, I started to go with him. It wasn't long before I wanted to sign out books, too. But I was too young and Dad only was allowed four at a time. He hated to give up his books! My mom refused to break the rules by signing up for a library card for me. So Dad persuaded Grandmother to do it. She signed her name "Elizabeth Carney Miner," and right in front of the librarian, handed me the card! My grandmother was proud, my dad was pale, and I was so excited! The librarian pretended not to notice. But from then on when I got my four books a week, she called me "Elizabeth" with a smile. ​I wrote stories constantly when I was a child. I remember sitting at the picnic table in a neighbor's back yard writing and then reading the stories out loud to anyone who would listen. In fourth grade, I announced that someday I was going to write kids' books. That got delayed for awhile, but I went on to become an elementary school teacher who always read books to her class and pushed kids to read. I loved teaching but wanted to do more with my passion for history. I started a Masters Degree in American history but it mostly was about politics. I was much more interested in the lives of ordinary people in the past so I got my Masters Degree in Anthropology and Archaeology. Luckily, I landed a job with the State of New York as a historical archaeologist. I've been happily digging and writing about what the artifacts tell us about regular people's everyday lives ever since. I never forgot my fourth grade dream to become a children's book author. A few years ago, I decided it was time. I took courses, attended conferences and workshops, and helped form groups to meet with others interested in writing for kids, too. 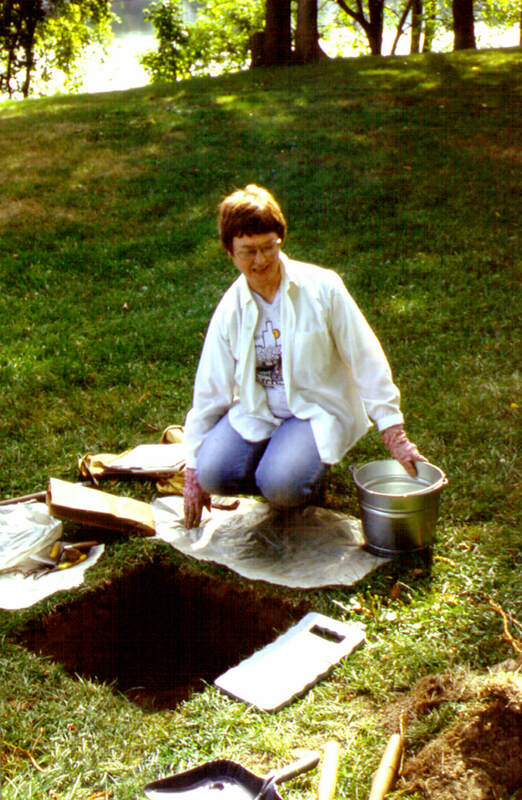 At first, I concentrated on writing for magazines, including DIG (an archaeology magazine for kids), Highlights for Children, Cricket, Cobblestone, and others. Then I expanded into books for the educational market and now I write books for trade. I live in an old house with my husband (who also is a historical archaeologist) and three friendly, sweet cats. When we've needed to dig pipe lines or build new walls, we've excavated in the yard around the house. Over the years, we have collected information about many of the people who lived here since about 1720! Our shared goal is to communicate the excitement of history especially to children.